From 1910 to 1940, Chinese immigrants were detained and interrogated at the U.S. Immigration Station located on Angel Island in the bay of San Francisco. They were detained for weeks, months and sometimes even years. Those who did not pass the scrutiny of the interrogations were deported back to China. Many committed suicide rather than to be sent back to China in despair and shame. Many Chinese gained entry into the United States by purchasing fraudulent documentation identifying them as American citizens. Several historical events created these documents that would allow individuals to sell and purchase these “paper son” certificates. While trying to enforce the Chinese Exclusion Act of 1882, the courts and U.S. Immigration documented the identities of existing Chinese in America. Much of the documentation was based on oral evidence given by existing Chinese residents during court challenges. Included in these documents were details of family history and village life. This set of documentation became the first set of “paper son” certificates sold to people in China. Another event that created more “paper son” certificates was the earthquake of 1906 in San Francisco. The earthquake and resulting fire destroyed all records at the San Francisco Hall of Records, thus enabling any Chinese to claim “native birth” citizenship. With no written records to contradict them, many Chinese became citizens by this method. Being “native born” allowed many Chinese to go back to China. Upon returning to the U.S., a “native born” citizen could claim that he or she had children while in China, thus creating another source of “paper son” certificates. These were later sold to people in China to gain entry into the U.S. This practice of entering the U.S. as “paper sons” was entirely due to the exclusion laws of 1882 – 1943. All the “paper sons”, as with most immigrants including my father, wanted to come to America in search of a better life. On February 6, 1929, at the age of 17 (on the ship’s manifest, he was listed as being 15 years old, his “paper son” age), Jim Fong, a “Paper Son”, arrived in San Francisco, CA on the ship SS President McKinley. While crossing the Pacific Ocean, my father, spent the time on board the SS President McKinley studying the 200 page document his father had purchased from a Fong family. He memorized the layout of the village, the layout and design of his “paper home”, including such things as what room he slept in and how many steps there were in front of his “paper home”. He memorized details and pictures of his fake brothers and parents. Dad went through three weeks of intensive interrogations on Angel Island by US Immigration Officials to determine if he was a true son of a citizen. 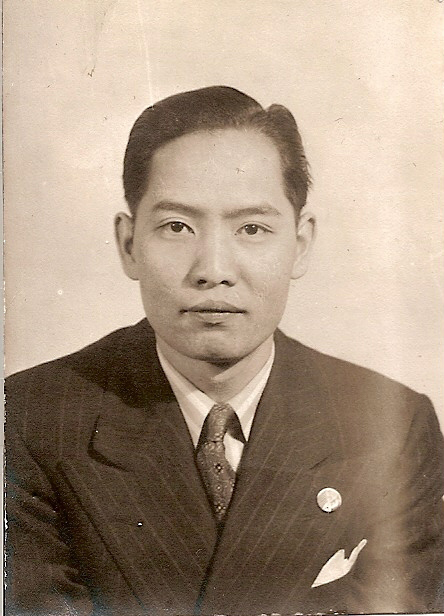 On February 27, 1929, he was permitted to enter the United States as a U.S. Citizen based on the citizenship papers that his father purchased in China. The transcript and details of these interrogations are stored at the Regional National Archives in San Bruno, California. 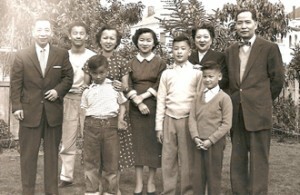 An interesting note: when the Interrogation Board signed off recognizing Jim as son of Fong Mon (his paper father), the meeting minutes stated that “A very favorable aspect of this case is the marked resemblance between the applicant and his alleged brother and I also note a considerable resemblance between the two boys (Dad and his paper brother) and Fong Mon. 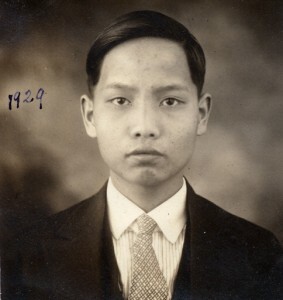 I believe that the evidence submitted in this case reasonably establishes that the applicant is a blood son of Fong Mon, a recognized U. S. citizen, and I accordingly move that he be admitted as of the status claimed.” Our family always noted that Dad did look more like his paper brothers than his real brothers. Dad’s Early Years in the U.S. When Dad set foot in San Francisco he spoke no English and he did not have any family members here to help. He told us that it was a very lonely and scary experience. All he had was a letter of introduction from his father to a friend in San Francisco. Within the week, Dad was sent to the Sacramento Delta area, a farming community, to work as a fruit picker. 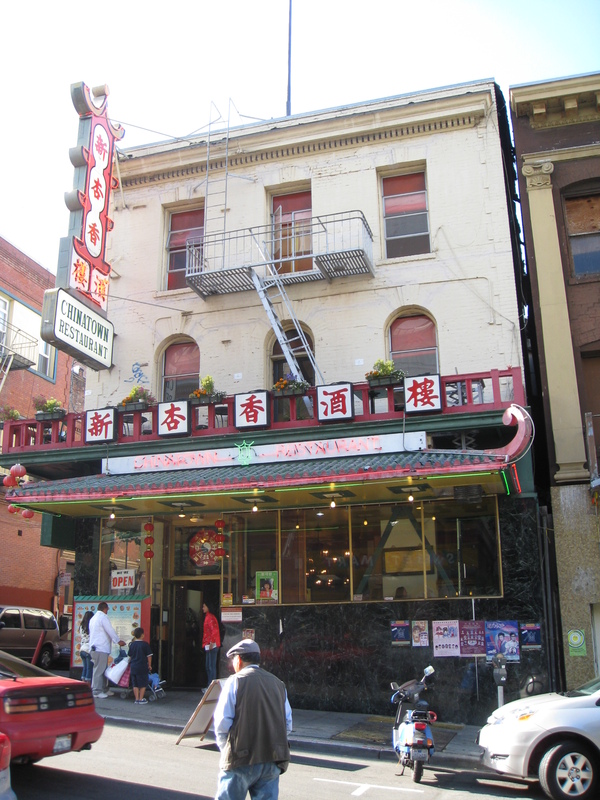 Realizing that a fruit picker was a dead-end job, he made arrangements to return to San Francisco to work as a dishwasher at the Sun Hung Heung restaurant in San Francisco’s Chinatown. He was soon promoted to assistant cook. From there he moved to the front of the restaurant as a waiter where he had opportunities to use his newly acquired language, English. He continued to attend night school to improve his English. From there Dad became the head cashier. He got married in 1934 and was given a promotion to manage the restaurant. Eventually he acquired an ownership interest in the restaurant. With Dad’s salary and Mom’s income from her seamstress work, Dad was able to repay his father for the cost of the paper citizenship and the cost of his ship fare. In fact, for many years thereafter, especially during the Second World War, my parents continued to send money back to China to support the rest of his family in China. Although we were not wealthy, we all had a good life as we were growing up. Dad was able to help his two real brothers immigrate to the United States via the “paper son” route. 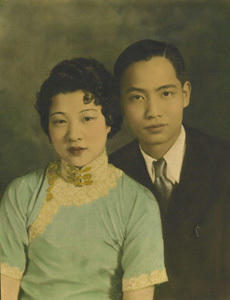 Uncle Eddie (Eddie Lum), the youngest, arrived just prior to the start of World War II as a member of the Lum family. Bok Foo (Moon On Louie), the 2nd oldest brother, arrived in the early 1950s as a Louie family member. This “paper son” system remained in existence through the early 1950’s. The immigration restrictions were finally loosened in the late 1950’s when an amnesty was declared for all “paper sons”. When the United States entered World War II, sentiment towards Chinese in America became more favorable. The Chinese Exclusion Act was repealed in December 1943 in an attempt to improve relations with the Chinese government in the war against Japan. Even with the repeal, “paper sons” who were here constantly feared discovery and subsequent deportation, especially during the McCarthy era in the 1950’s. After the Chinese Revolution in 1949, American citizens including Chinese Americans were being investigated for being a communist or a communist sympathizer. Daily reports of deportations in Chinatown Chinese newspapers exacerbated this fear. This fear was finally alleviated when Immigration Amnesty was granted in the sixties. My father took this opportunity to change his surname back to the original family surname, Quock. My brothers and I decided to also change our surnames. We spelled our last name, “Kwok”. There are several anglicized ways of spelling 郭 (the Chinese character for our surname). In Cantonese it is pronounced Gock. In Mandarin it is pronounced Guo. So our last name is just a phonetically spelled name for the Chinese character 郭. On August 6, 1966, under the Amnesty Program, Jim gave up his false citizenship as a Fong, in exchange for a status as Permanent Resident and reverted to his true name, Jim Quock. He petitioned for Naturalization on February 10, 1969 and became a Naturalized citizen of the United States on January 20, 1970. My brothers and sisters have always thought about whether or not we could have done what our father did at 17 years of age. He came to a new country and did not have anyone to turn to for help. He was lonely and scared. He adopted a new persona to seek a new life without being able to speak the language and with very little education. My sister and I have recently visited our ancestral home and village in Guangdong China. When we saw the primitive living conditions, we were both grateful that our Dad, a “Paper Son”, had the courage, fortitude and endurance to seek a better life in America. The adage about “you don’t know what you got until you leave it” is absolutely true when it comes to living in the United States. Steve Kwok currently is a volunteer tutor at the University of California Irvine Medical Center where he teaches ESL and Basic Computer. In 2003, Steve retired from the Xerox Corporation after 34 years of service.